Hide deals from seller "The Wellness Sanctuary"
Limit 1 per person. Valid on (8) 1-hour wellness/life coaching sessions. Includes nutritional education, BodyScan analysis, personalized food plan, weekly weigh-ins and measurements, and 10% off nutritional products. By appointment only; appointments subject to availability. Promotional value expires 365 days after purchase. Get ready for health and fitness victory with 50% off eight wellness coaching sessions from The Wellness Sanctuary in Plainfield ($200 value). These 1-hour sessions are designed to help those looking to lose weight, improve athletic skills or just lead a healthier life. Cathy, personal wellness coach and owner of The Wellness Sanctuary, has devoted the past 12 years to helping others develop healthy lifestyles and achieve results. 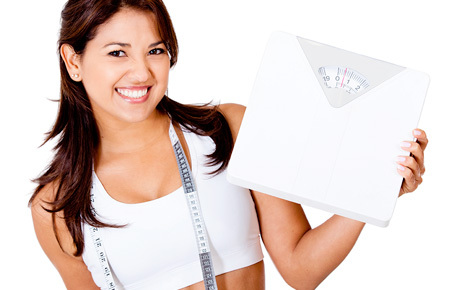 The Wellness Sanctuary boasts the number one nutrition and weight loss program in the world. Your weight loss sessions will include nutritional education, a BodyScan analysis and a personalized food plan as well as weekly weigh-ins and measurements to track your progress. You will also receive 10% off nutritional products offered by The Wellness Sanctuary to help you on your journey to fitness. Nourish your mind, body and spirit with this deal. Offers holistic health counseling, supplements, consultations and Chios energy healing.